Notes: 2016 season ended when he was hit by a pitch. 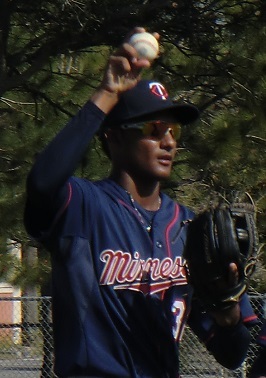 2016 Stohs Prospect Handbook Profile: The Twins signed Palacios in 2013 as a 5-11, 145 pound infielder. He spent the 2014 season in the Dominican Summer League. In 49 games, he hit .270/.404/.399 (.802) with 11 doubles and six triples. He also stole 14 bases in 17 attempts. Palacios if very thin and yet he has really great bat speed. He used the whole field in 2015, though his home runs were pulled. As he grows into his height, he could really take off and become a better all-around hitter. Defensively, many believe that he can stay at shortstop despite a lot of errors. He has decent range and a strong arm. 2017: Traded to Tampa for Jake Odorizzi in March 2018.